Being such and increasingly popular and relevant theme and topic. 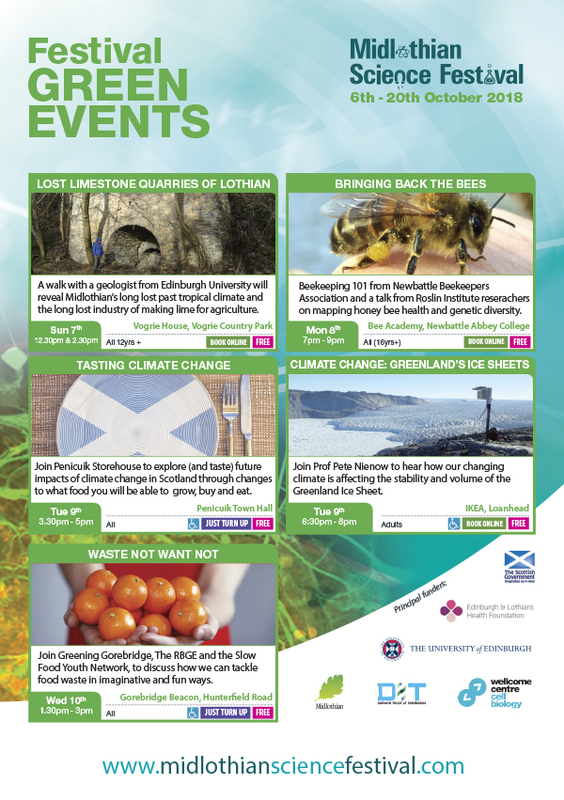 We are very proud to bring you our first event ‘Green Events’ listing. 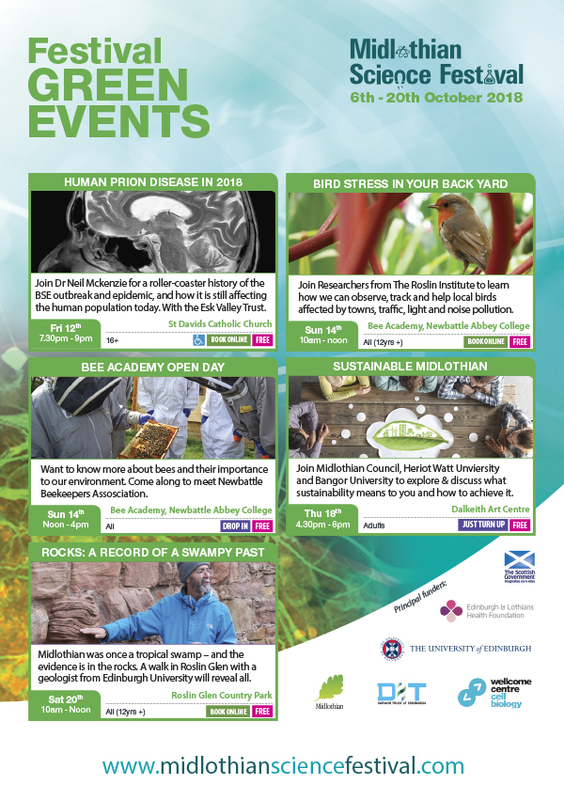 Our ‘Green Events’ explore both global concerns such as climate change and food production and also more local topics such as research into the health of bees and stress within birds. We also have a couple of fantastic guided geology walks at Roslin Glen and Vogrie Country Park.